This longstanding Cole Valley beauty store is immediately recognizable by the purple awning out front—the banner matches the lilac color scheme within. 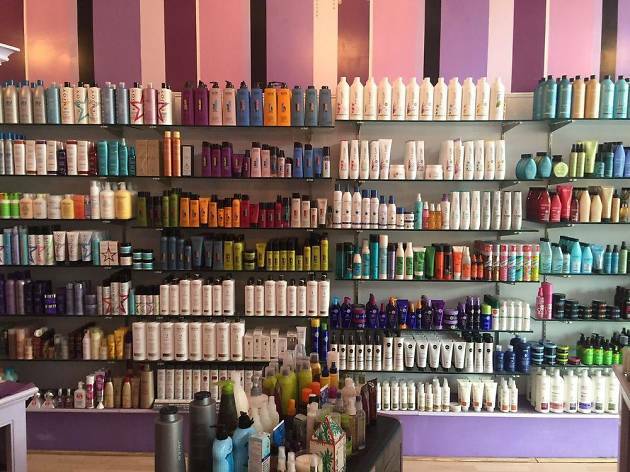 The chandelier-strung shop is filled with hundreds of products for pampering your hair and skin, including sought-after brands like Abba, Terax, Davines, Mario Badescu, MOP, Dermalogica, and Rene Furtherer. 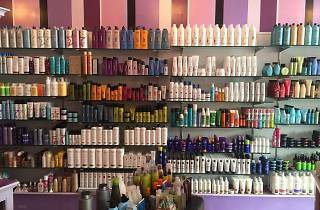 You’ll find a range of styling tools—curling irons, straighteners, and rollers—along the back wall. In particular, MadKat is known for its wide selection of moisturizing balms and restorative products for heat-fried and color-treated hair.